students and faculty members designed and built a storage space for historical artifacts at the White Spring Ranch Museum and Archive Library in Genesee, Idaho, for a project with the School of Design and Construction. 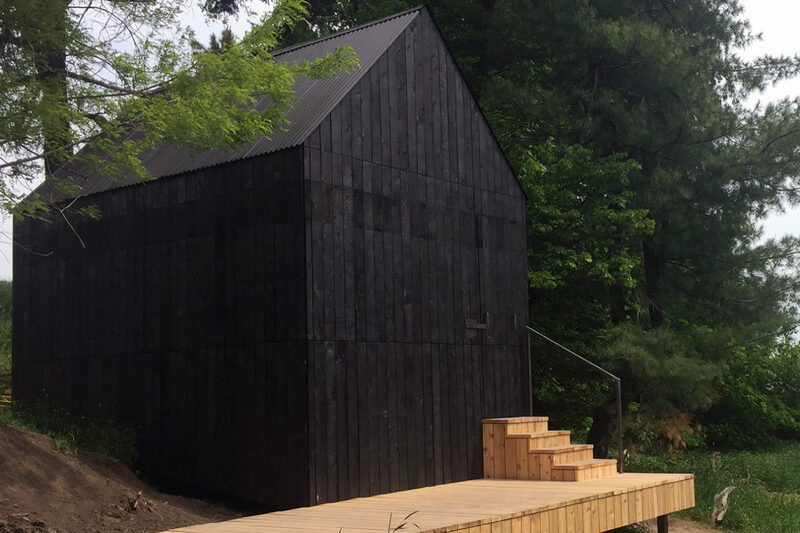 The Black Shed project, led by School of Design and Construction architecture professor Taiji Miyasaka, recently received a prestigious design-build award from the Association of Collegiate Schools of Architecture (ACSA). Design-build is an increasingly popular way of doing architecture projects, in which one entity does both the design and construction for a project. The award recognizes top design-build projects by architecture schools. The project team, which includes School of Design and Construction faculty and students, will present their work at the ACSA Annual Meeting from March 15-17 in Denver, Colorado. As part of the project, the students and faculty members designed and built a storage space for historical artifacts at the White Spring Ranch Museum and Archive Library in Genesee, Idaho. The project allowed the students to learn about design, construction, costs and scheduling. The group also developed a creative way to bring natural light into the space. Instead of installing a window, they made small holes on the exterior walls. More than 80,000 small holes were milled into the charred wood walls to bring in color and lighting from the surrounding environment. The project was made possible by donations from WSU alumni, Seattle architecture firms and local building material suppliers. “Black Shed brought not only a rich experience to the students and the community, but also the joy of design and construction with limited resources in this rural area,” Miyasaka said. The project represents a pilot program for design-build community outreach in the architecture curriculum. Another design-build project is planned for fall 2018.